February 18 2010 saw the launch of the Mariotti Yachts brand in Genoa, Italy. The new brand takes advantage of Mariotti’s experience since 1928 in ship repair and luxury yacht building, blending quality craftsmanship and extraordinary design. The group has invested more than €9 million for facilities and plants to support the new brand. This includes a manufacturing facility that can simultaneously handle two yachts up to 65m. 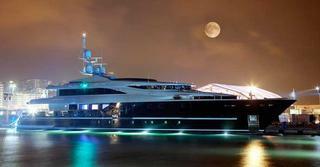 In 2008 the yard delivered the 54m Sea Force One, a superyacht that complies with RINA’s highest Green Star rating.